Knowing Your IX is a resource to all students, faculty and staff to help you understand your rights under Title IX. What should I do if I've been sexually assaulted at Cowley? If I file a complaint, can it remain confidential? Do I have to name my assailant? If I file a complaint, I'm afraid of retaliation. What protection can Cowley give me? If my assailant lives on campus or attends the same classes, can I change rooms/classes? What do I do if one of my friends has been sexually assaulted? What is the Title IX Policy at Cowley College? 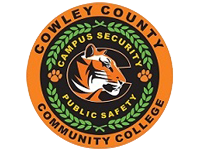 Stay Connected to Cowley College Security with our new Safety App, LiveSafe!